Library Think, Author’s Den, Goodreads, Fictionaut… the web is such a great place for readers and writers! Ouch! My The Deer Story is nothing if not a deer narrating a story. There are people actually buying (and presumably reading) it, and some even go on to read A Hawk’s Tale. 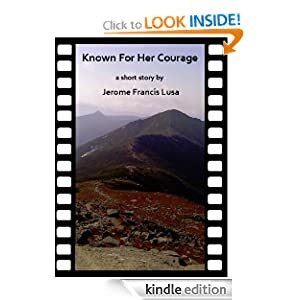 “Known For Her Courage” is at the e-printers! Amazon should have it available by Friday 6/1, and the Smashwords outlets within the next 2 weeks, or around 6/15. The final word count is 4,491 for about 16 to 25 pages depending on the e-reader settings. The Author’s Den site is yet another forum for connecting readers and authors. It will take a while to get all the stories listed. For now I have only listed the memoirs of my youth in Stafford Springs… “The Stories of My Youth”.